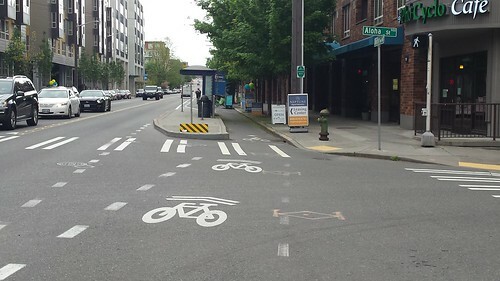 This year’s annual conference for the American Planning Association (APA), Sustainable Seattle, was hosted in a city rich with sustainable practices and, appropriately for our interests, complete streets infrastructure. The APA covers all faces of planning, but complete streets are increasingly a focus of urban (and suburban) planners everywhere. 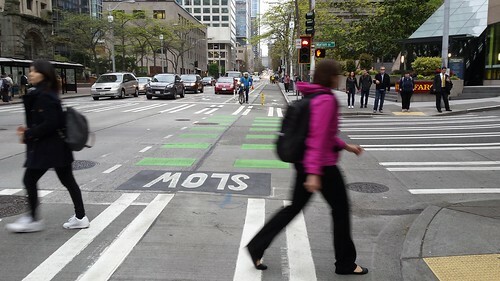 Complete streets that make up walkable, bikeable, and ultimately livable communities, have become the national best practice because they make for sustainable communities, a core tenet and charge of the urban planning profession. The integration of complete streets with retail, mixed-use development, the densification of cities, and sustainable practices were highlighted throughout the conference. 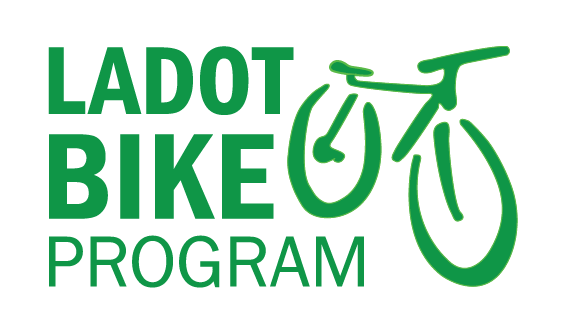 Though LADOT performs much implementation, we are also tasked with planning and project development, which is the area we inhabit in Bicycle Outreach and Planning. Attending the APA conference gives us a broad context for what we do, which can be really helpful in a time where cities are growing at some of the fastest rates ever. Here are some of our take aways from the conference, followed with a few snapshots of Seattle’s pedestrian-first culture.